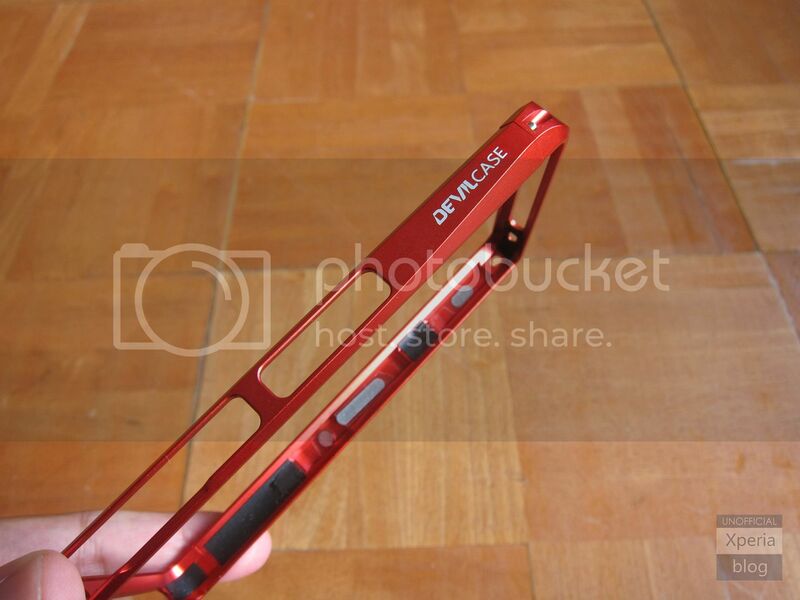 DevilCase is a mobile accessory company that has quietly been building a strong reputation for its high-quality, exquisitely designed aluminium bumpers. 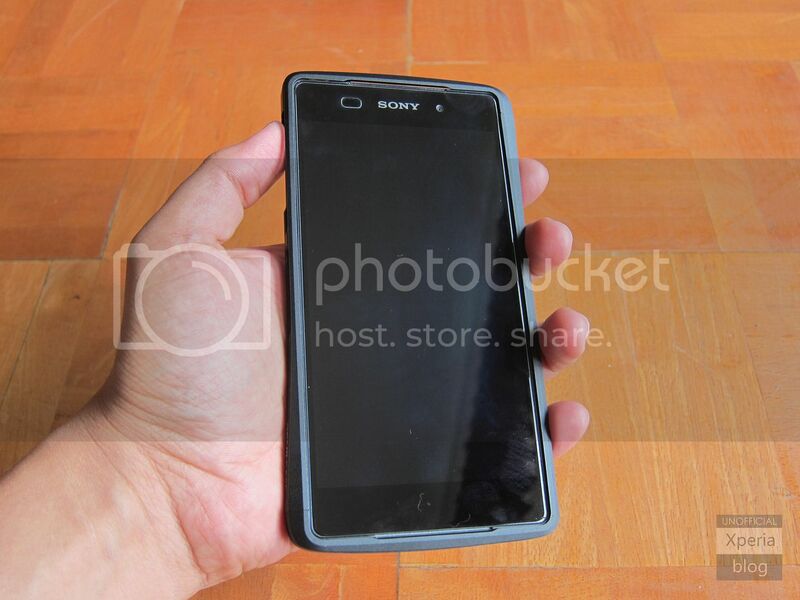 The company has released bumpers for the Xperia Z2 and Xperia Z1 Compact, with an Xperia Z3 bumper on the horizon too. The Taiwanese-based company is currently the selling the bumpers through its own website, as well as via Amazon.com for US customers and Amazon.co.uk for European customers. DevilCase were kind enough to send over some samples to test, check out our thoughts below. 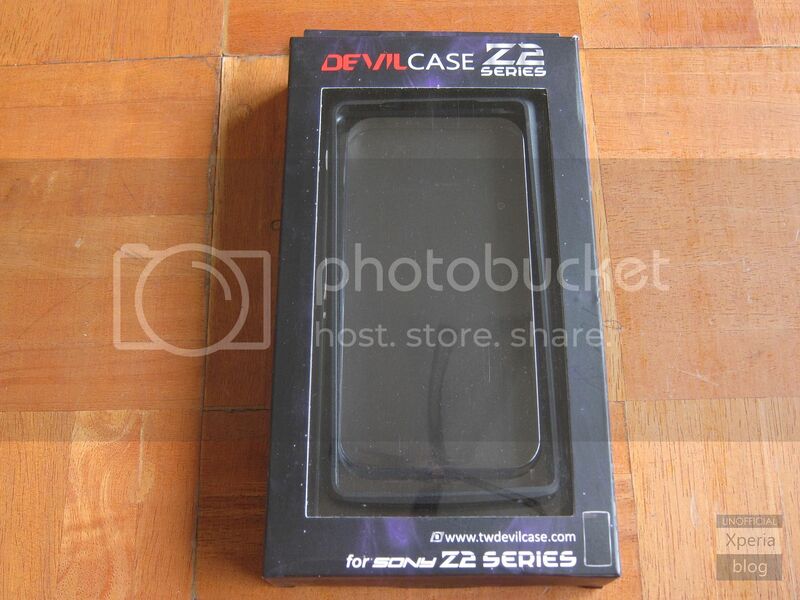 The DevilCase Sony Xperia Z2 Aluminium Alloy Protective Bumper arrives in secure packaging to ensure that the bumper is protected from any damage in transit. If you have ever used an aluminium bumper in the past, then you’ll probably be familiar with the installation instructions. 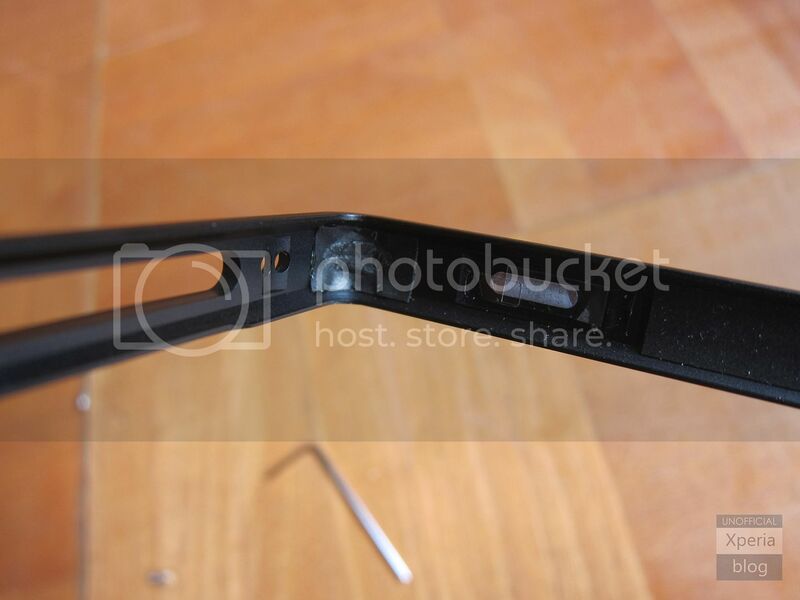 The frame consists of two parts which are screwed together for a snug fit. 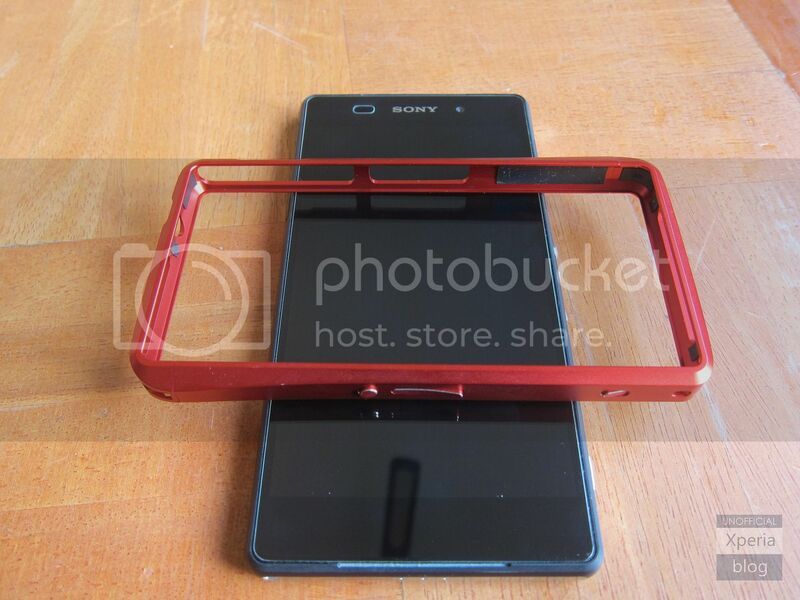 We are reviewing the black DevilCase bumper for the Xperia Z2, however other colours include Champagne Gold and Red. 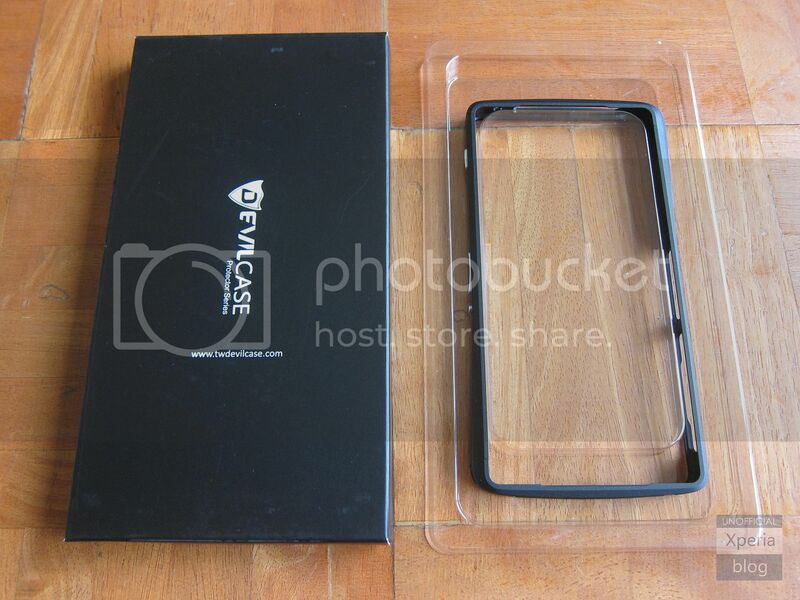 The packaging includes a Screen Protector, Plastic back cover, Leather back cover and one Dock Supporting plate. The DevilCase frame itself exudes a high level of craftsmanship. 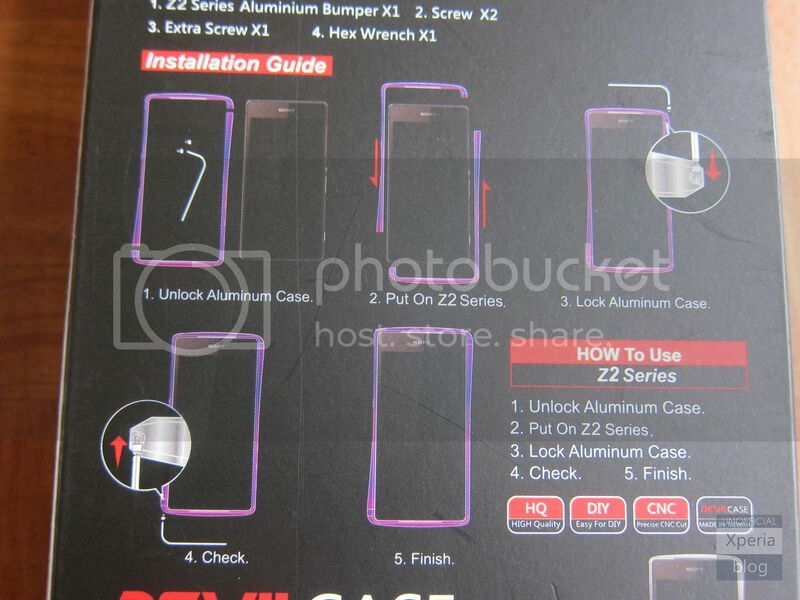 It is made using high-precision CNC machining. 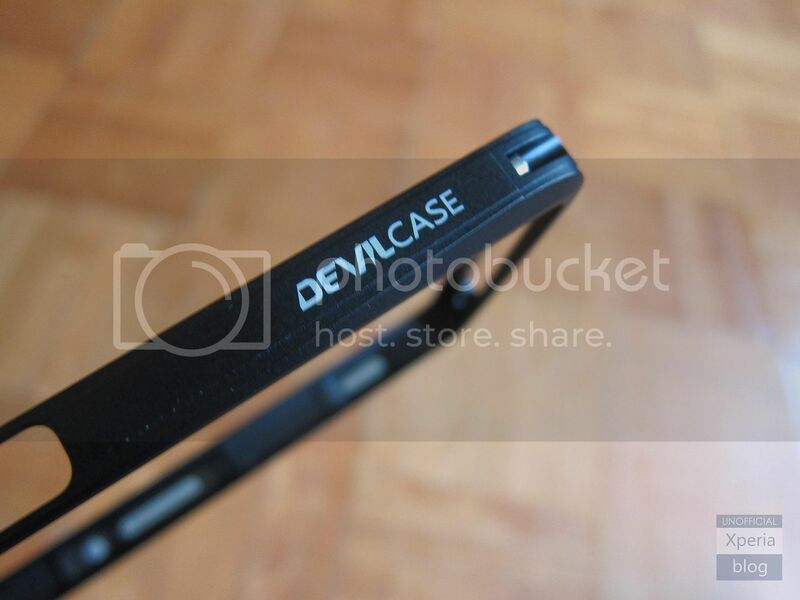 The DevilCase logo on the side of the frame isn’t too overbearing thankfully. 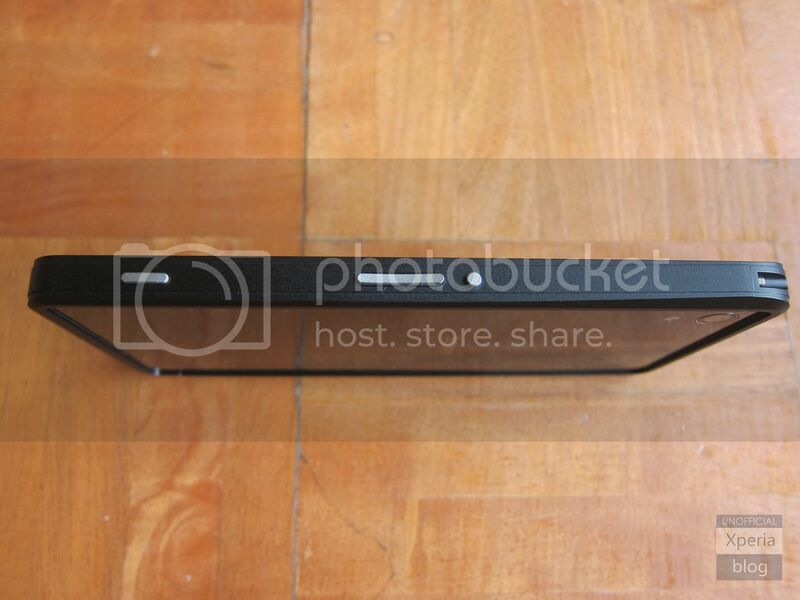 The surface of the bumper is anodized, which gives it a matte feel. As mentioned previously, the metal bumper comes in two parts and is fixed together using an Allen key (Hex key), which is provided. The interior frame of the DevilCase bumper includes six shock absorption layers that help to protect the phone from drops at all angles. The frame is easily pieced together and we had no problem threading the two screws to form the bumper. 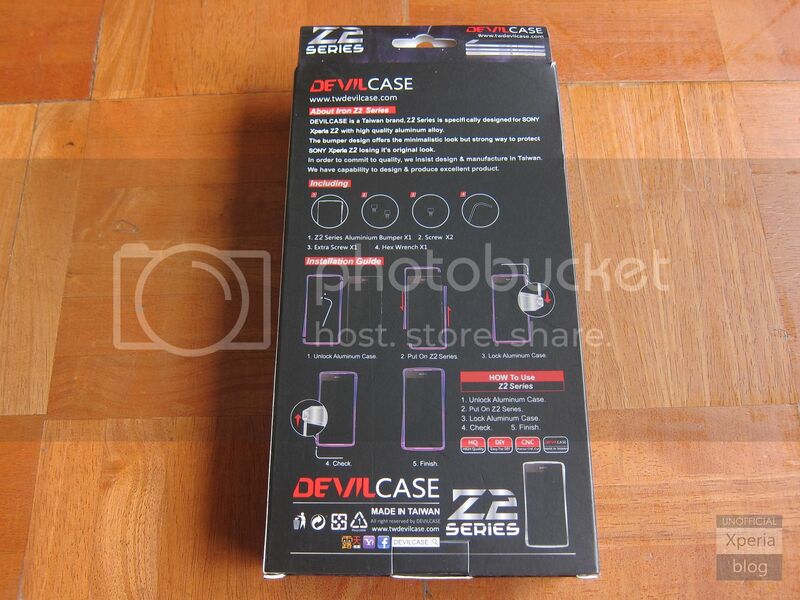 DevilCase also provide a spare screw just in case one goes missing. 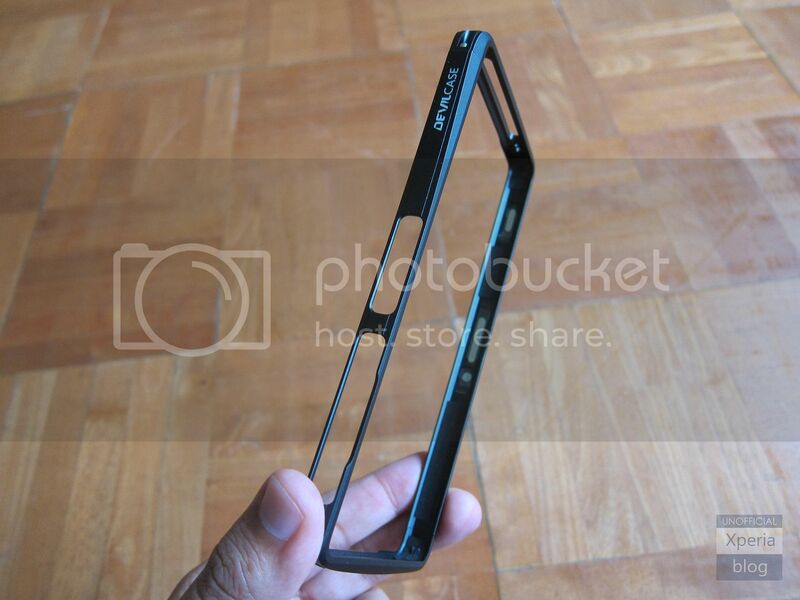 Once the DevilCase bumper is fitted onto the Xperia Z2, it has a nice feel in the hand. We noticed no issue with signal degradation whilst using the bumper. The great thing about using a bumper is that it keeps most of your phone naked, so that you don’t lose that Sony Xperia design to a case. 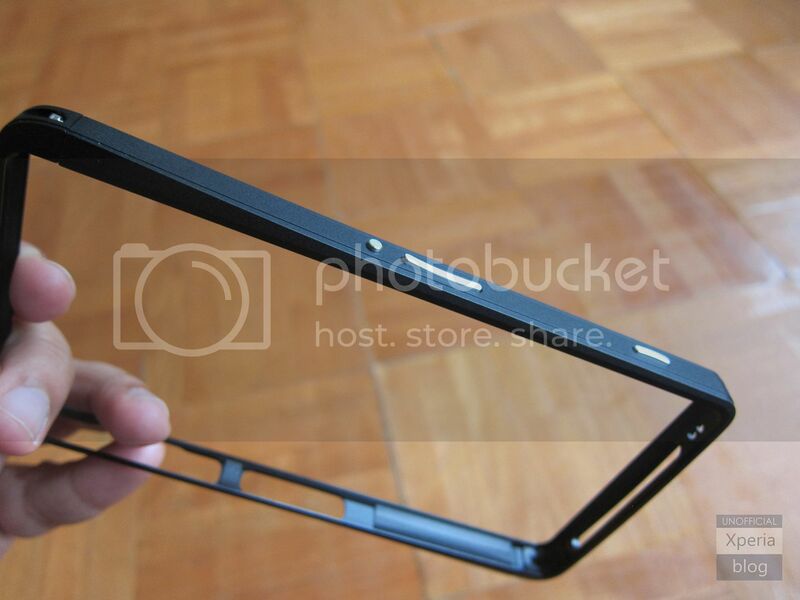 It will also help to protect the phone against small bumps and knocks. Whist the frame is sturdy and the screws appear to hold in place over time, it is worth noting that some may find the bumper offers little grip given that it is made out of aluminium. 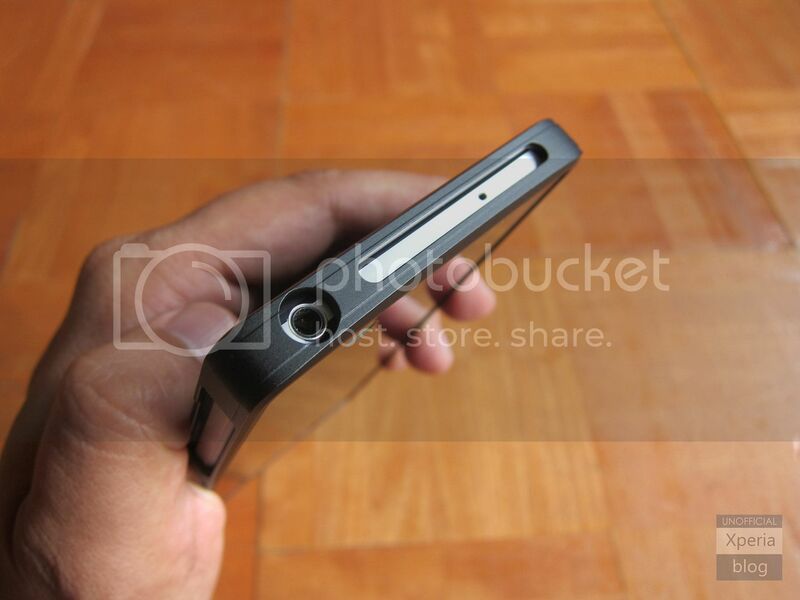 All buttons on the side of the phone are accessible including power button, volume rocker and dedicated camera button. 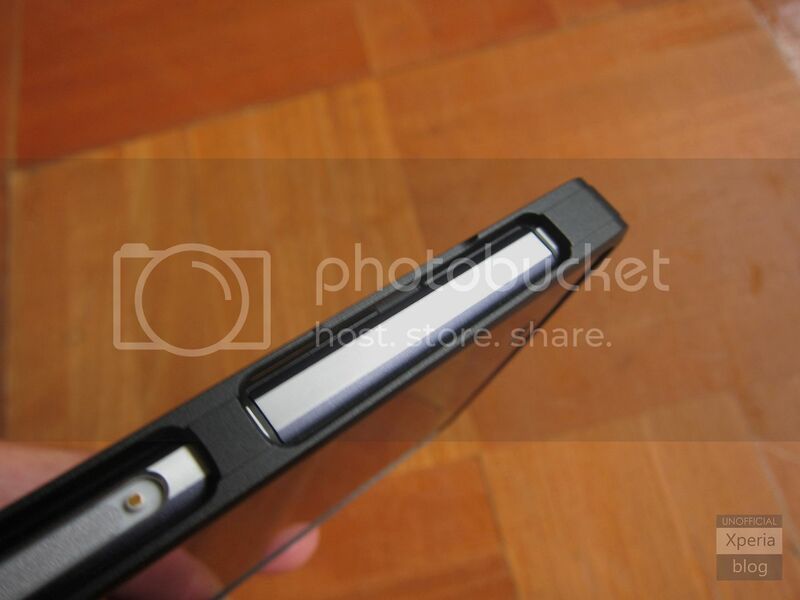 The other side of the phone includes easy access to the USB port flap, along with the magnetic charging connector. 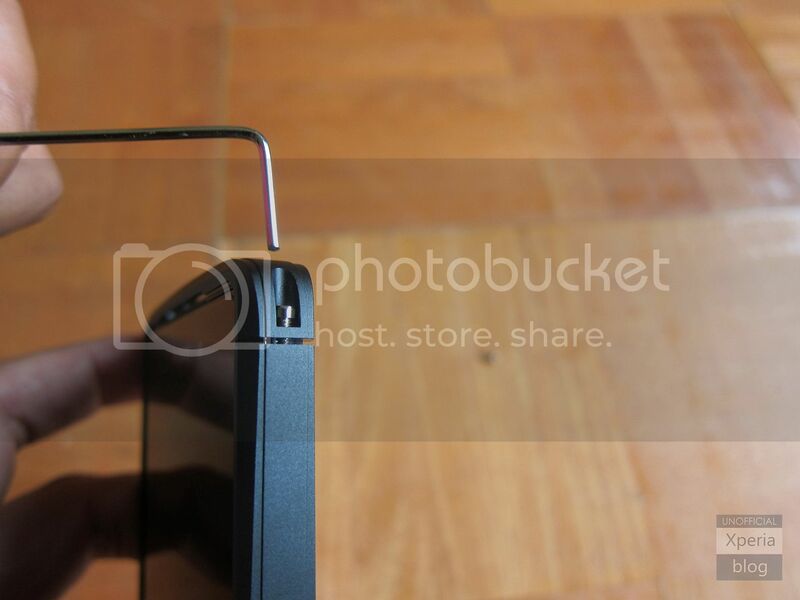 There is a small indentation on the side of the bumper so that you can easily open the USB port flap. 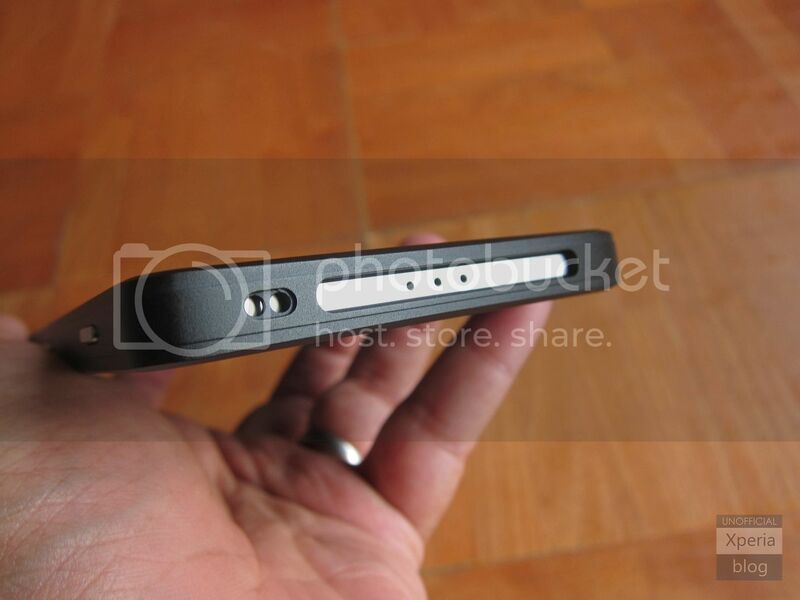 The top of the phone includes a large round hole which should enable you to plug in even a large 3.5mm headphone cable. The bottom of the frame includes the necessary cutouts for the lanyard and mic. 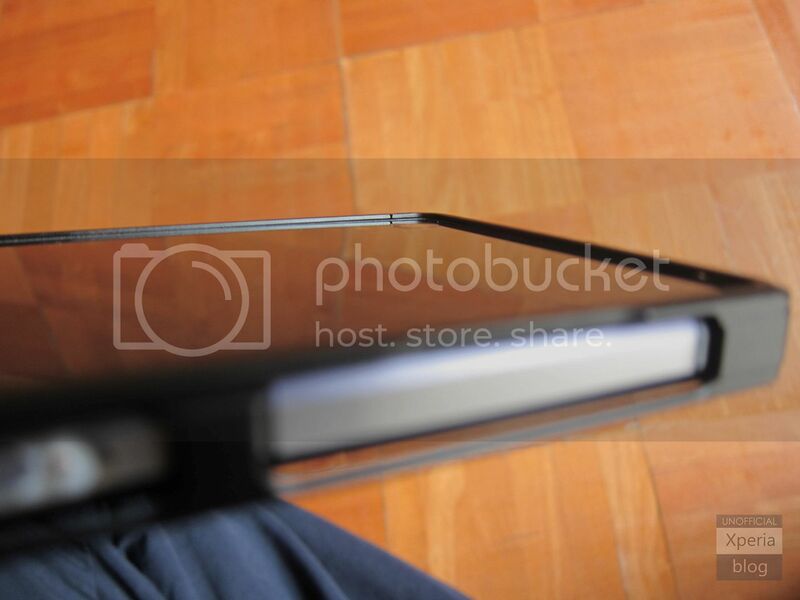 The fitted bumper is slightly raised around the edges of the phone, which should help to protect the front and back faces. 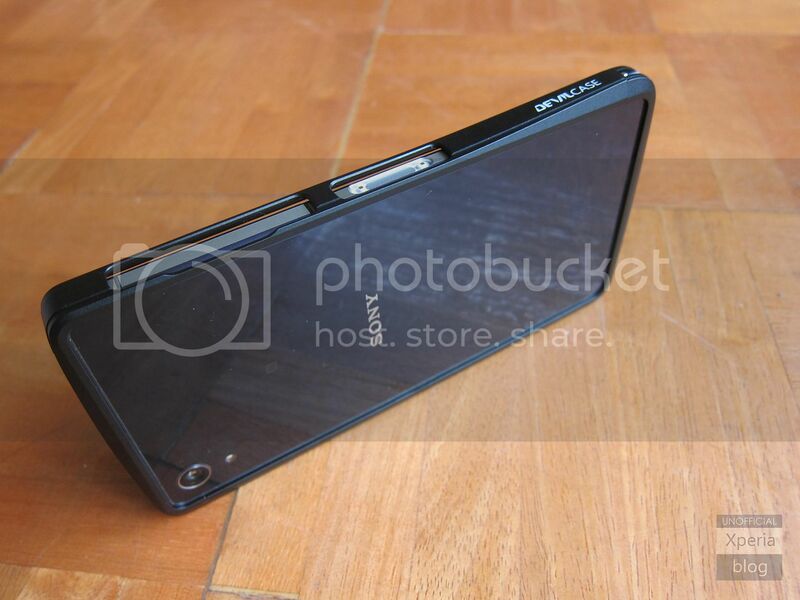 The DevilCase Xperia Z2 Bumper costs $56.99 through Amazon.com and £36.99 via Amazon.co.uk. There is no denying this is quality product for a premium phone and that comes across in the price. 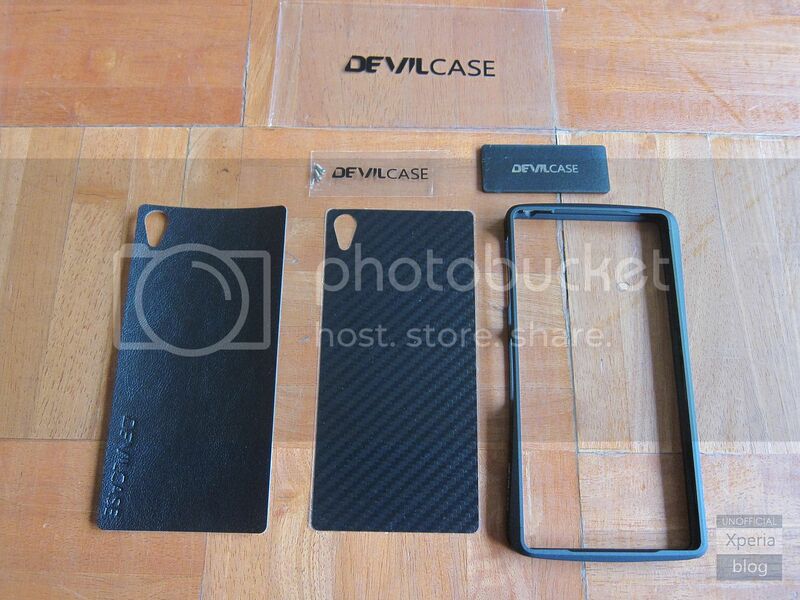 DevilCase also include some screen protectors as well as a leather and plastic back cover. We didn’t try these, but it’s a nice addition for those that want to add some extra protection for the front and back faces. 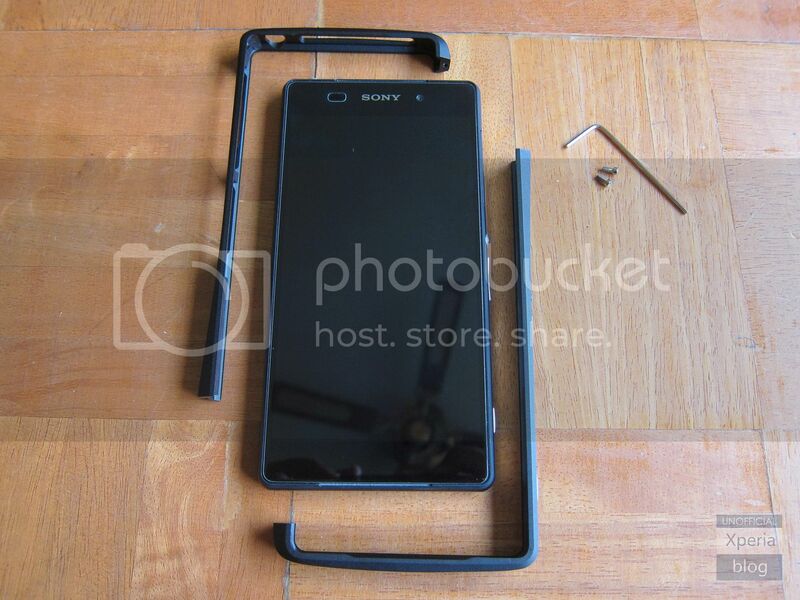 For those looking to provide some protection for their Xperia Z2 without sacrificing the phone’s good looks this is a great option worth considering. 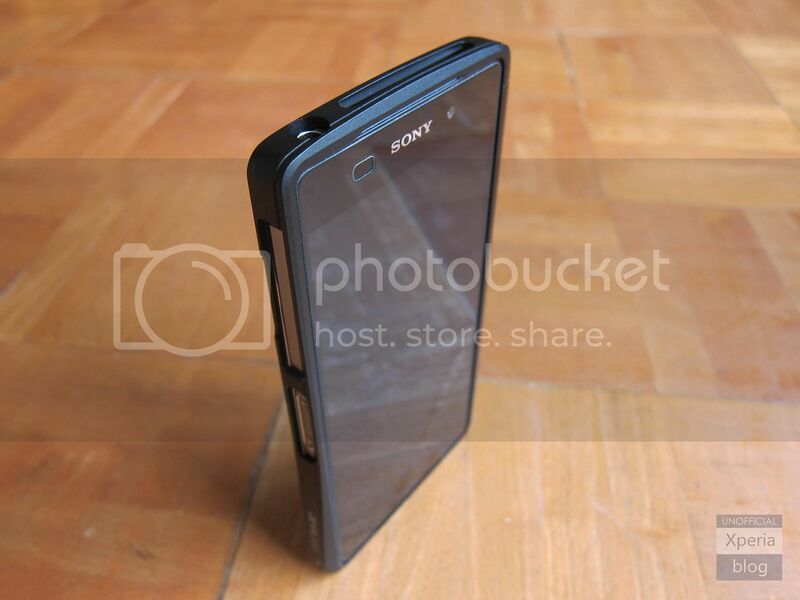 The DevilCase Xperia Z1 Compact Aluminium Bumper acts in the same way as described for the Xperia Z2 above. 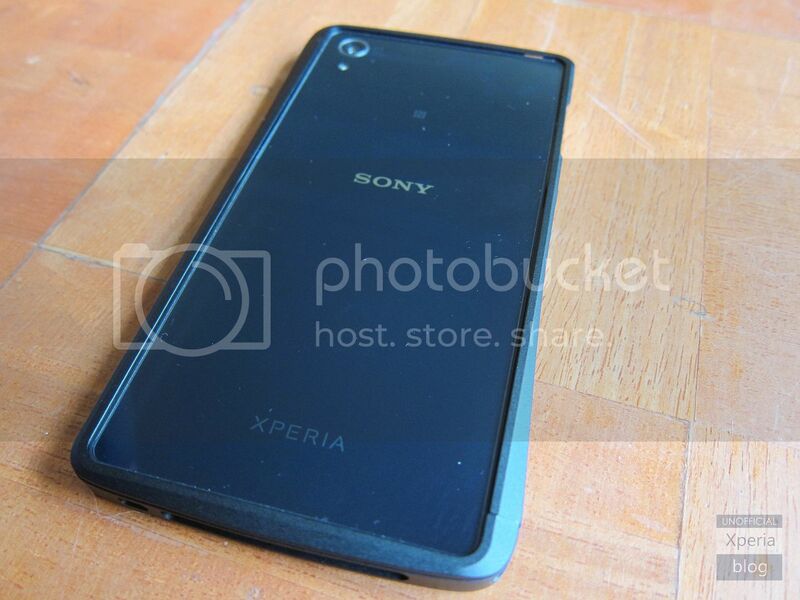 Unfortunately, our resident Xperia Z1 Compact was away for repair and didn’t make it back for this review. 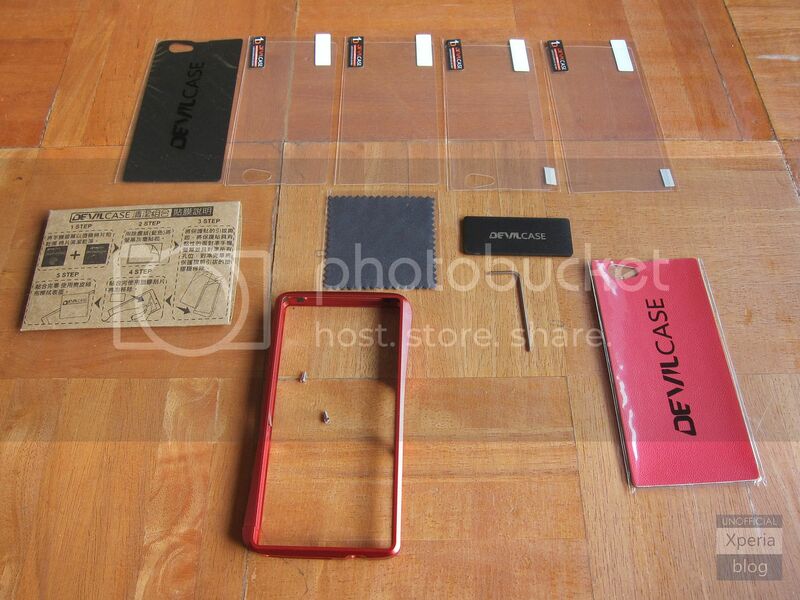 As before, DevilCase includes a number of accessories with the Xperia Z1 Compact bumper such as screen protectors, a plastic back cover, a leather back cover, a dock support plate as well as a spare screw and Allen key. The red aluminium bumper looks stunning in person and has the same anodised finish as the black Xperia Z2 bumper reviewed above. 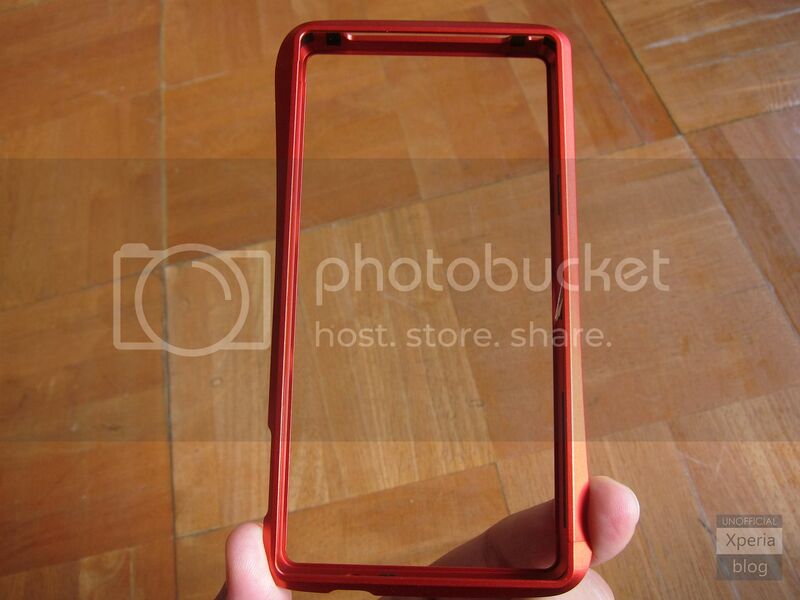 As you can probably tell from the pictures that this red bumper looks very striking and would fit perfectly with a black phone. The Xperia Z1 Compact DevilCase Bumper is available at the same price as the Xperia Z2 from Amazon.com ($56.99) and Amazon.co.uk (£36.99). 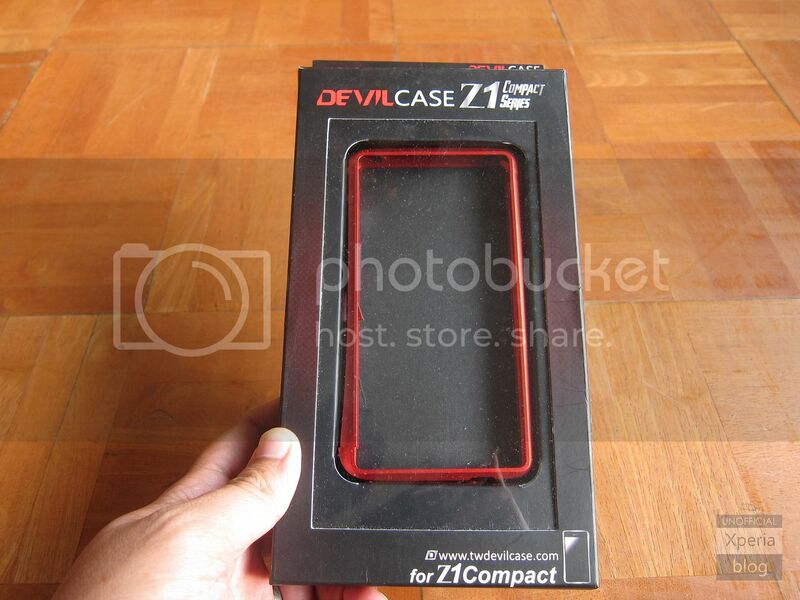 Many thanks to DevilCase for sending these bumpers for review!